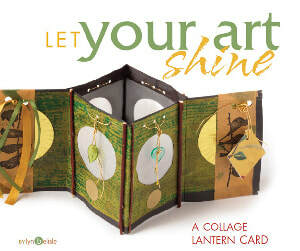 One of the articles I wrote for Cloth Paper Scissors magazine was called "Let Your Art Shine." 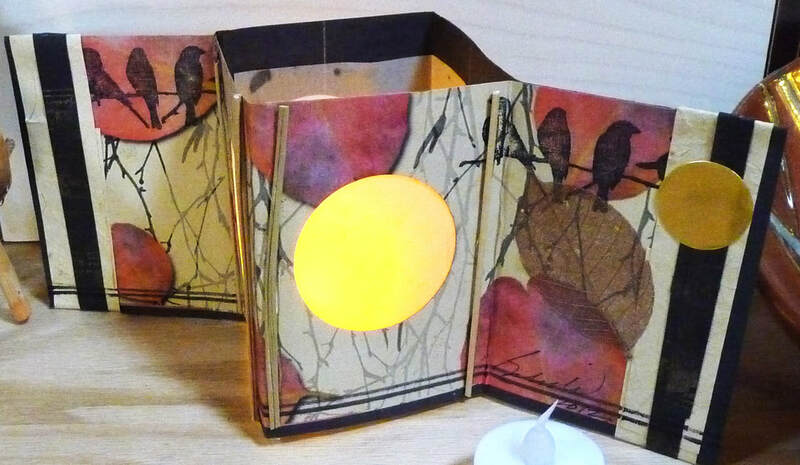 I designed a folding collage that could be used to enclose a small electric votive with its light shining through a round window. When I turned the project into a workshop, everyone loved the process and produced gorgeous results! 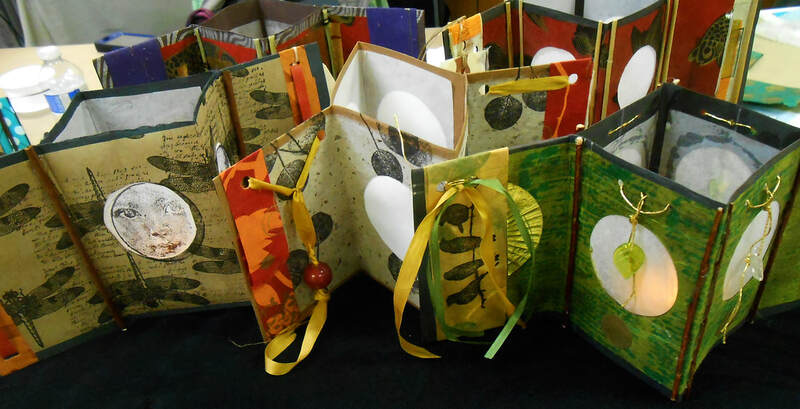 I've designed a new workshop based on this idea called "Votive Offerings: Collage Candle Cards" and I'm teaching it at the Art League Studio on October 29th. 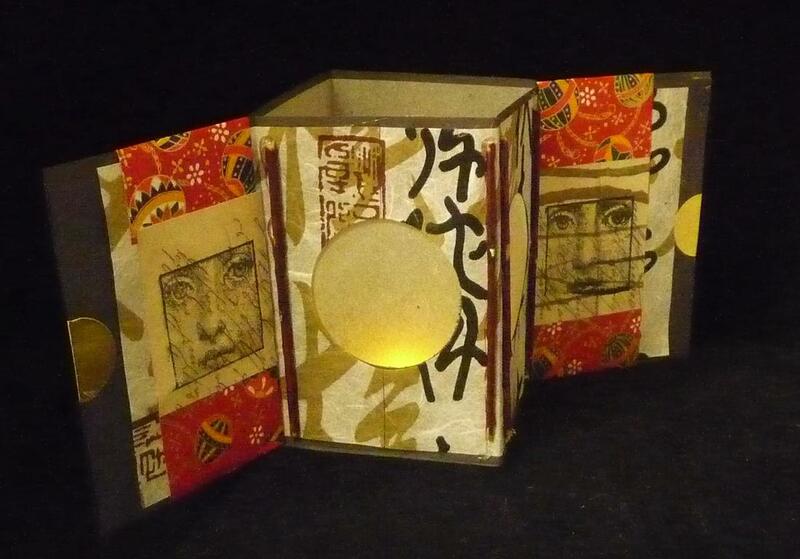 We'll make linear collages that express wishes and blessings, then fold them into screens for our votive candle. We'll use a variety of mixed media techniques to make at least two offering cards. 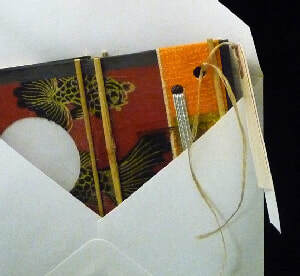 And one of the great features of these little offering cards is that they can be folder into an envelope for a very special gift. 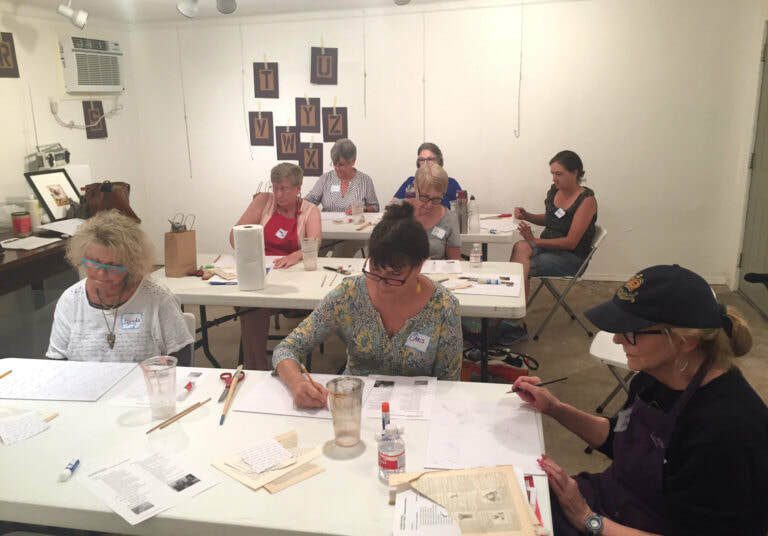 The Art League Studio is easy to find and there's lots of free parking across the street by King William Park. 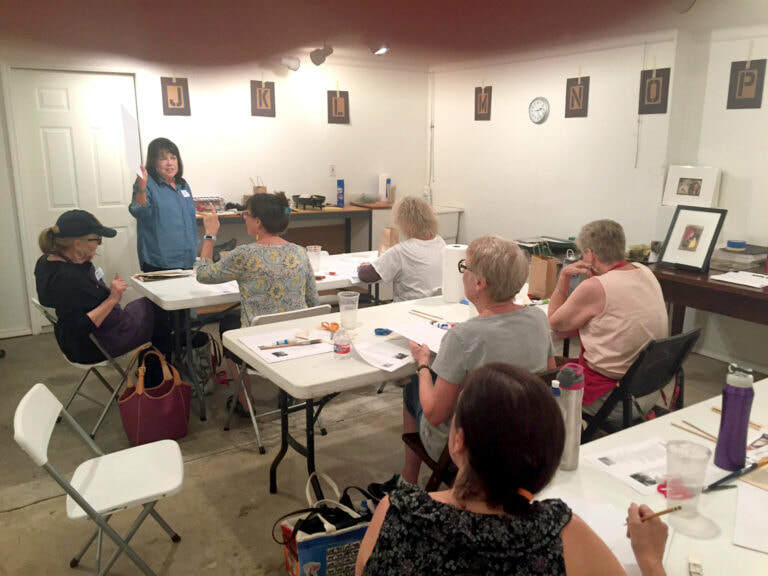 Our first workshop there, called "Postcards to Myself," was a great success! See the photos, below.